What does everyone have against recruiters? | MB Magazine UK | Discover the latest in technology, reviews, guides & features. If you type the phrase “are recruiters” into Google, the first three suggested searches you get are “are recruiters worth it”, “are recruiters helpful”, and “are recruiters a waste of time”. Hell, if your LinkedIn profile has the right box ticked, you might already have several messages in your inbox from various headhunters looking to match you with a dream opportunity. Recruiters get a bad rap from most people, but statistics suggest that they are more needed than ever. According to Talent Now, 73% of candidates aren’t actively looking for work, meaning that recruiters need to be particularly persuasive to win any potential job seekers over. Of course, it doesn’t help that candidates are getting wise to the kind of measures recruiters take to keep managers off their backs or make that all-important commission. These range from trying to fill roles regardless of a candidate’s experience to simply pestering someone too relentlessly. But, as unlikely as it might seem, recruiters can actually be pretty useful. Here are three reasons why it’s worth taking some time to actually read the next email that comes through from someone offering you your “perfect job”. Whilst there are all too many recruitment agencies who try to indiscriminately fill positions with the nearest available candidate, anyone looking for work in a niche industry sector may be better served by a recruiter than any other means of finding a role. Specialist recruitment agencies, particularly in the tech sector, have up to date knowledge of best practice, offering insider knowledge when it comes to the major companies. For example, SAP recruitment agencies such as Eursap not only advertise vacancies across Europe, but have an understanding of sub-sectors within the niche of SAP itself, making sure that specialist candidates are assigned to their ideal position. Similarly, as Reed points out, the rise of machine learning and AI in the workforce will need specialist teams providing “human intelligence with the right mindset” to ensure they run correctly. That is to say, candidates who are happy to see specialist tech as something to work with, and not against, will be more likely to find success. Even if you don’t choose to accept a job through a specific recruiter, it is still useful to ask for feedback on how to best approach any roles you do decide to apply for. If you choose to find work through a recruiter, your CV will be kept on their records until you find a new job, which means that they can provide help in the event that you finally do want to shake up your career. Likewise, recruiters will also have many companies on file, regularly filling vacancies in those businesses or sectors. In this scenario, as one recruiter noted to Monster: “Your recruiter has had someone interview at this company before, and may be able to steer you in the right direction.” Even in a more general sense, you will be able to gain crucial guidance from them on best practice in interviews or how to answer certain questions. So while you may be happy in your current role, that could suggest that it’s been some time since you’ve last been interviewed, and having someone help brush up your skills could come in handy when the time comes. Think of a recruiter like the pair of training wheels on your childhood bike. You’ll have no need for them eventually, but there will still be a transition period where you’ll be glad they’re there. Once you’ve accepted a job, that doesn’t mean that your recruiter’s work is done. Indeed, they will often remain in contact to help ease you into your new workplace. There are some all too common issues everyone faces when starting a new job, and keeping in touch with your recruiter, even after you’ve landed a new position, can go some way to putting your mind at ease. Of course, many recruiters will want to get in touch for their own purposes, in order to get feedback on their own performance. 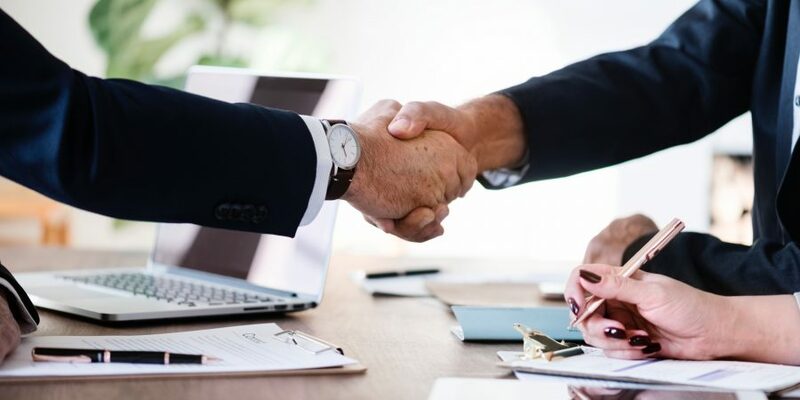 However, by staying in contact with your recruiter for the early stages of your new job, you can let them know whether or not you feel well-suited to the role and have them act as something of a middleman between you and your new employer.